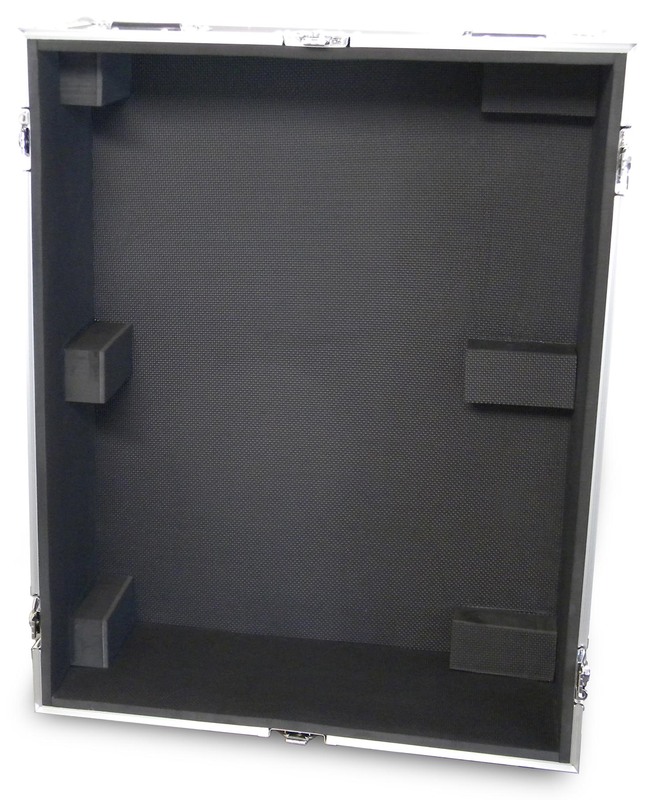 This is the EWI Tourcase tm Model MXC-M32 mixer case. 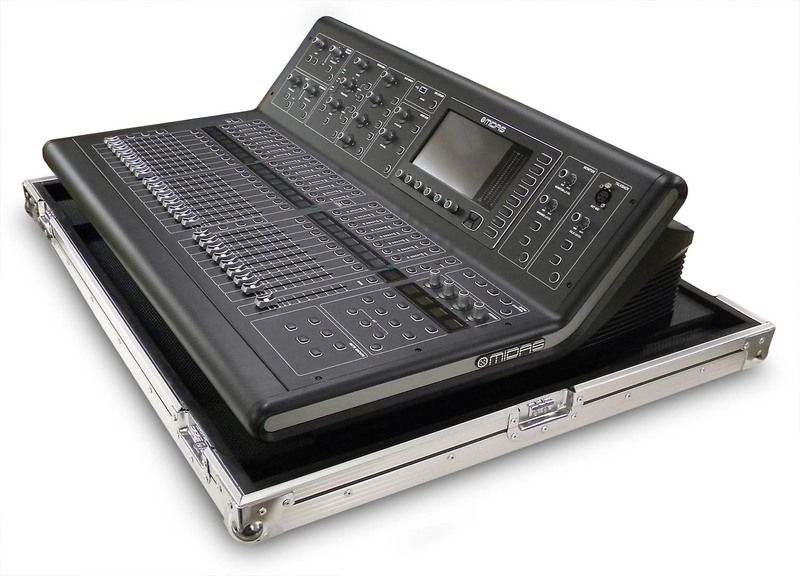 The case is designed to carry a Midas M32 mixer and to leave the mixer in the tray when operating. The mixer sits in the tray with enough clearance to allow access to all of the M32's input/output jacks. The entire interior of the case is foam lined. The lid of the MXC-M32 has 6 solid foam blocks mounted to the top to hold the mixer in place while transporting. The side panels are constructed with 3/8 inch hardwood plywood and covered with a black ABS laminate finish. The aluminum rivets on the 4 recessed padded flip handle are backed with washers to ensure strength and durability. The lid is equipped with 6 large sized recessed butterfly latches and 4 ball corners. 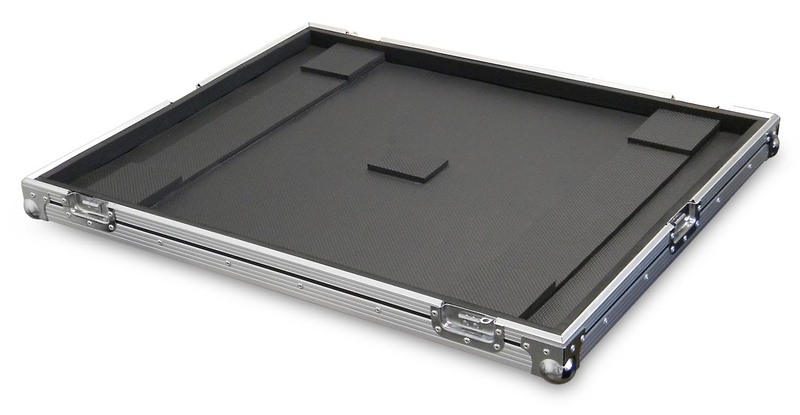 Mounted on the bottom of the case are 4 solid rubberized feet. 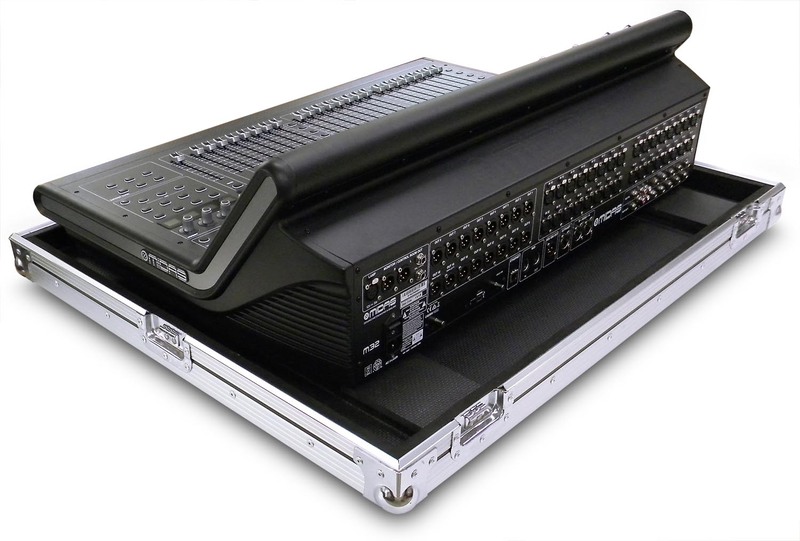 Road case for the Midas M32. Left to right: 35 3/8"
Height of lid 9 1/2"
Dimensional shipping weight: 121 lbs.